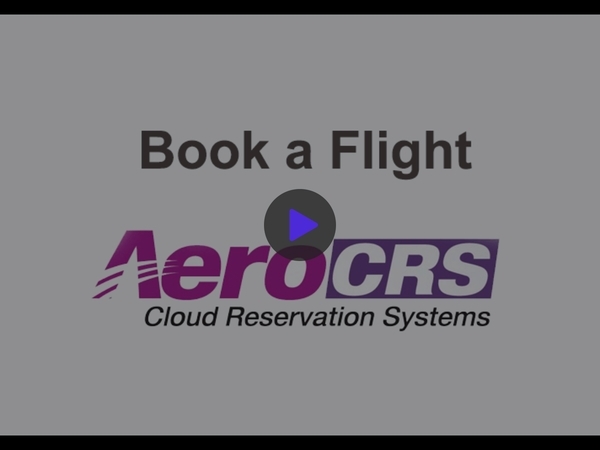 In this article you will learn how to take a new booking with AeroCRS system. Taking a new booking is the most common use you will do with AeroCRS, that's why we have simplified the process to be simple and easy to use. Departure date: When is the departure date? Adults / Childred / Infants: How many of each? In the results screen, select a class for the outbound flight (on the left) and class for the inbound flight (on the right). The flight results show all of the information regarding the flights available according the the avl search. Note: If the customer not exist, the system redirect you to add a new customer. Click on the purple passenger button to write the passengers' names. In the passengers name's popup fill the passengers' information according to the system settings and click the purple 'Save' button. NOTE: Each column with a red star is a mandatory column. Click on the purple 'Ticket' button to issue the ticket and finalize the booking. When you issue a booking, the system automatically generate an invoice as well.